I remember my first trip to Apex as a child very distinctly- We chugged down the bumpy dirt road in my dad’s old green Chevy pickup to a “neat place” he knew about just up the road. I was a little guy, probably 7 or 8 years old and my entire life at the time was fishing and baseball. Being in the mountains, I assumed Apex must be some place to fish, because, in my mind at the time, the only thing you did in the mountains was fish for trout. We finally reached a wide spot at the end of the road, and I was a little confused- there wasn’t anywhere to fish, just a cluster of falling down shacks and a few old buildings. I couldn’t understand why my dad had driven me up to this place where there were no fish??? I couldn’t understand why anyone would live in the mountains where there wasn’t a good trout stream or pond??? I was a little too young at the time to understand greed and “gold fever” and all those things that make men do strange things and travel to strange places. I wasn’t too upset though, because the tumbledown buildings were pretty interesting to a little kid. That initial trip to Apex for me must have been sometime in the mid-1980’s. The memory always stuck in my mind for some odd reason, and the swaying, false-fronted building I first saw as a little kid at Apex is probably what got me hooked on the hobby of “ghost towning” today. The old leaning false-fronted “hotel” in Apex. My first memory of the town. I ventured back up to Apex a couple of years ago to see what, if anything, remained of the strange place with nowhere to fish that I remembered as a kid. Although nearly 30 years had passed since that first glimpse of the town, I was happy to see Apex was still, relatively the same. The first structures you’ll encounter marking the Apex town site. 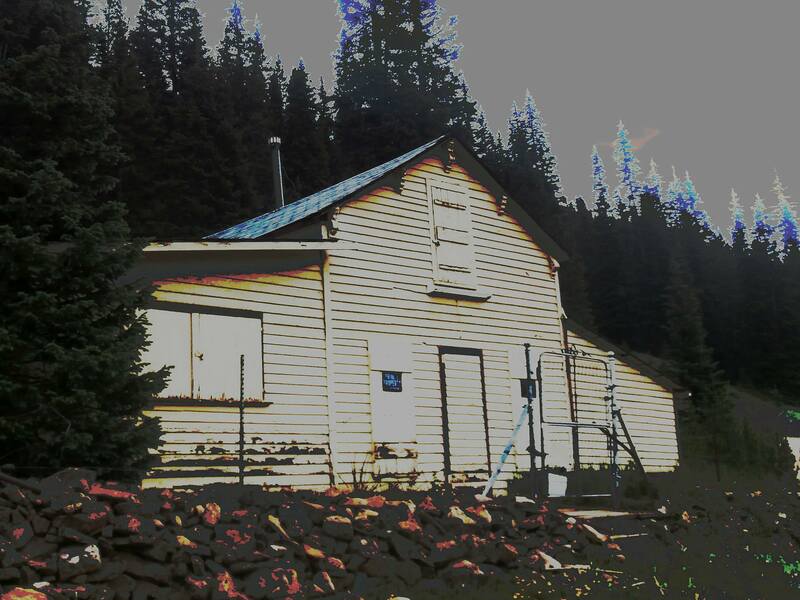 The old swaying false-fronted building still stands proud, and is listed as “Site #001” in the Gilpin County Historical Society register. A small brass plaque is affixed the front of the precariously fragile old structure recognizing it’s historic significance. Apparently this was one of the Hotels in Apex during the boom years of the 1890’s, but I question that, the building seems a little to small to harbor more than one or two guests. There is another tall, swayback, rickety building next door to the “hotel”. I can’t find any information on what this building was, but it was most likely a business of some sort. It is heavily overgrown and although a beautiful old building in many aspects, it just doesn’t photograph well. I’ve tried repeatedly to get a good angle on it, but the overgrowth around it, and the dark stained timbers that make up the building just make a good shot difficult…if I actually knew anything about photography I might get a decent image, but I’ve had no luck yet. The great old building I can’t get a good photo of. 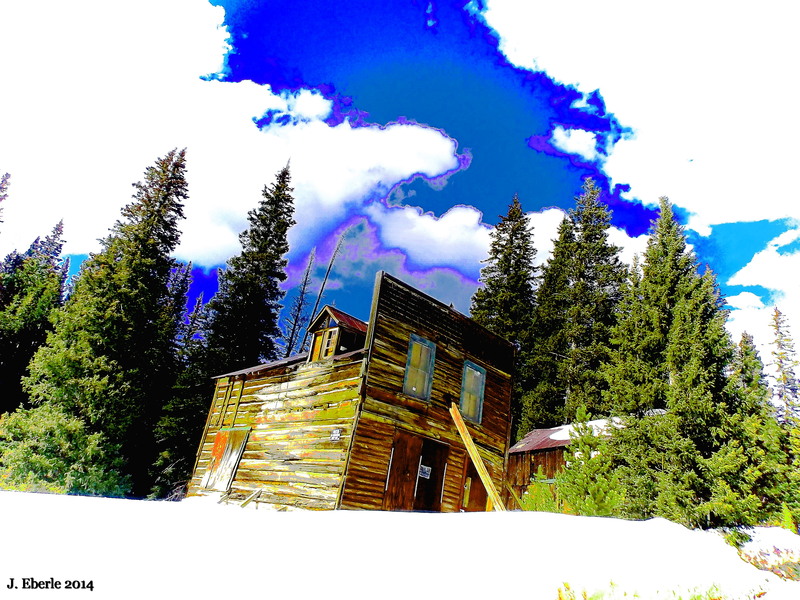 It’s hard to imagine that this tiny cluster of cabins used to be a bustling city that served as the “capitol” of the Pine Creek Mining District in the 1890’s. 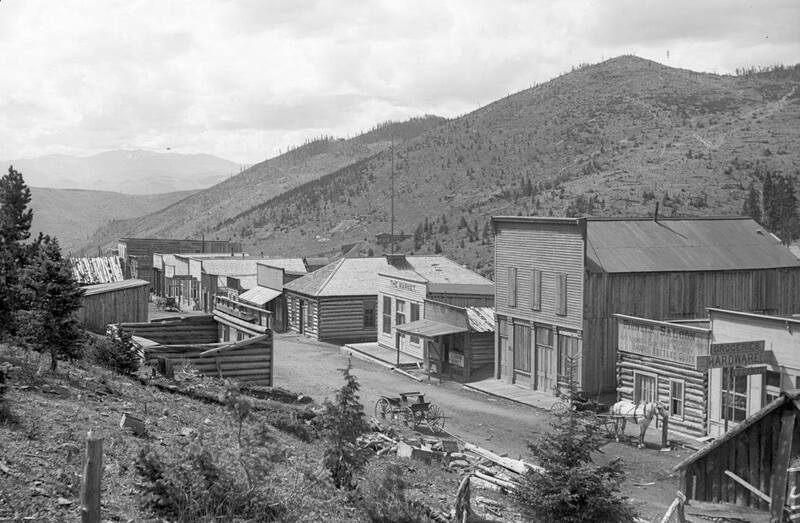 An Idaho Springs newspaper wrote, during the boom years, that Apex boasted over 100 businesses on it’s Main Street and nearly 1,000 residents. Several stage lines ran through Apex daily, as well as daily mail service. 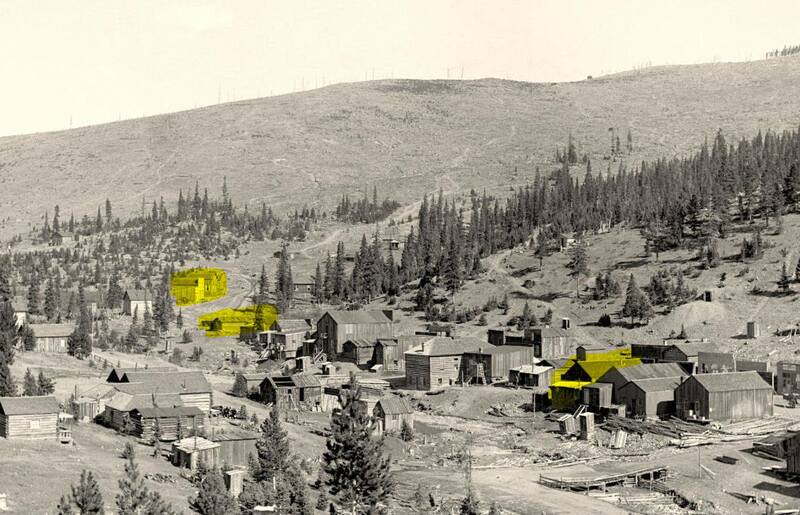 The main gold mine in the area assayed at $1,800/ton by 1890’s numbers which today would equate to $110,500/ton! Vintage photographs show Apex had two, possibly three, north-south streets and one major east-west street (modern day Elk Park Road). 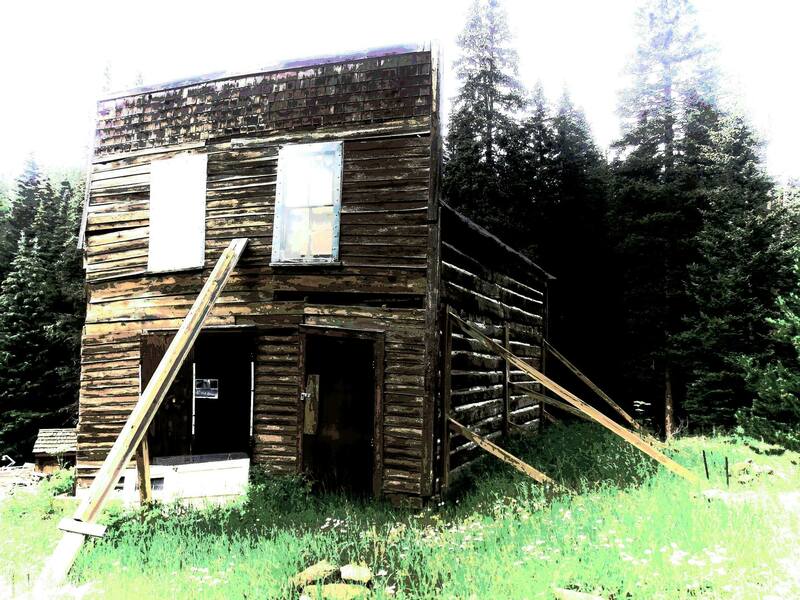 Apex had several saloons and dance halls, a grocery store, hotels, mining company offices, a post office, a newspaper “The Apex Pine Cone”, and even a school house which still stands today just across the street from the leaning hotel. Apex fell victim to at least two forest fires which ravaged and destroyed much of the original business district, which is why so little of the town remains today when compared to old photographs. Oddly, for a large business center, I have found no record that Apex ever had it’s own cemetery. I assume residents were taken down the hill and buried in one of Central City’s cemeteries. 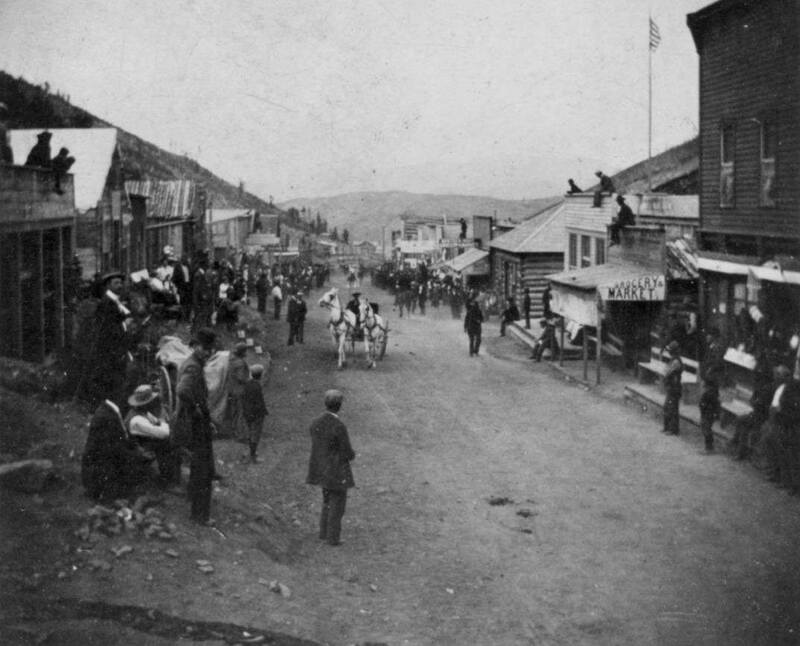 Main Street Apex in the 1890’s before the first forest fire. 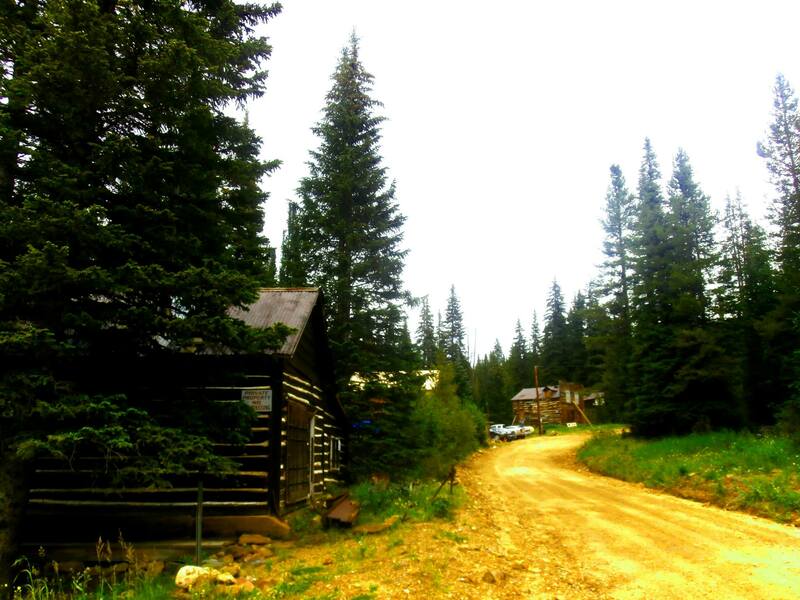 The second street of Apex which still exists today, buried in the woods and marked “White Gulch Road”. One or two of these structures still stand, but I assume this road is on private property today. Another shot of Main Street in Apex around 1900. This is a view looking northeast at Apex. The highlighted buildings are the structures that remain to mark the site today. The false-fronted “hotel” can be seen at the upper left, highlighted, as the dirt road turns towards the right and heads up the hill out of town. Another image showing remaining structures circled in red. 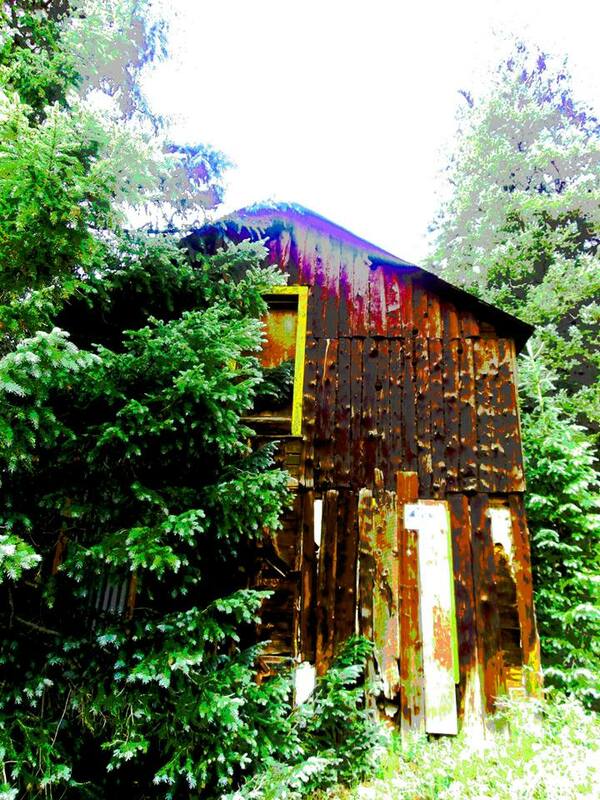 Apex is mostly abandoned, except for two or three people who have summer cabins in the area, and one extremely colorful year-round resident. If you are lucky (or unlucky) enough to meet the Mayor of Apex, be prepared to spend 15 or 20 minutes listening to all kinds of tall tales and fantastic stories of adventure, intrigue, espionage and the science of radio wave frequencies. I’ve met “The Mayor” twice, and he is a friendly and likable fellow…although I do suspect he may be a little on the insane side. 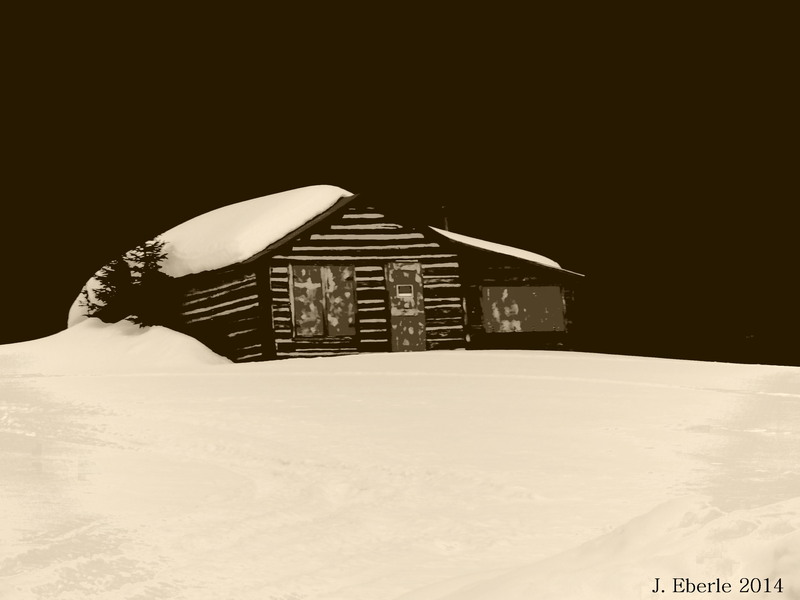 He lives up Elk Park road in the cabin surrounded by snow mobiles in varying stages of decay. The Mayor will greet anyone with a smile and a handshake. He is unique though, and once he starts talking you won’t get a word in edgewise until he’s said his piece, so if you stop to shake hands, make sure you have some time to spare. Heading up Apex Valley road off of Colorado 119 just past Black Hawk on the way to Nederland, a decent graded dirt road will take you to what’s left of Apex. At the town site the road branches- the left fork (Elk Park Road) will take past a few old cabins and up to “The Mayors” residence, after which the road gets rocky and steep and turns into a 4X4 trail that leads to the mining camps of Nugget, American City and Kingston up on Pile Hill, before dropping down into Mammoth Gulch. By going straight or taking the right fork of Apex Valley Road at the town site you will find the hotel, school house, and the other old structures marking what’s left of Main Street in Apex. The road continues north up Dakota Hill but there isn’t much to see. My recent snooping around Apex also revealed a second north-south street buried in the trees. 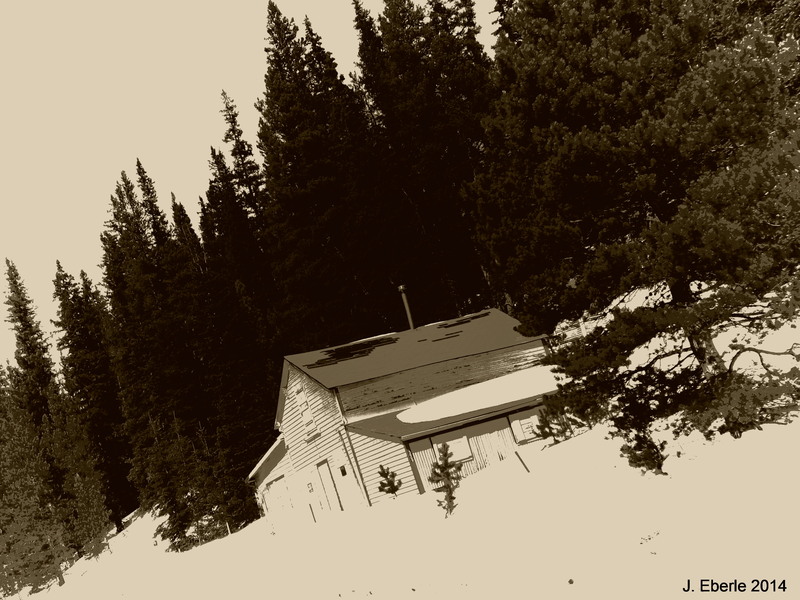 Just after you turn left on the Elk Park Road, a sign in the trees says “White Gulch Road” and you can see a couple of old cabins buried in the woods. I do not know if this road is public or private, so approach it with caution if you choose to investigate. 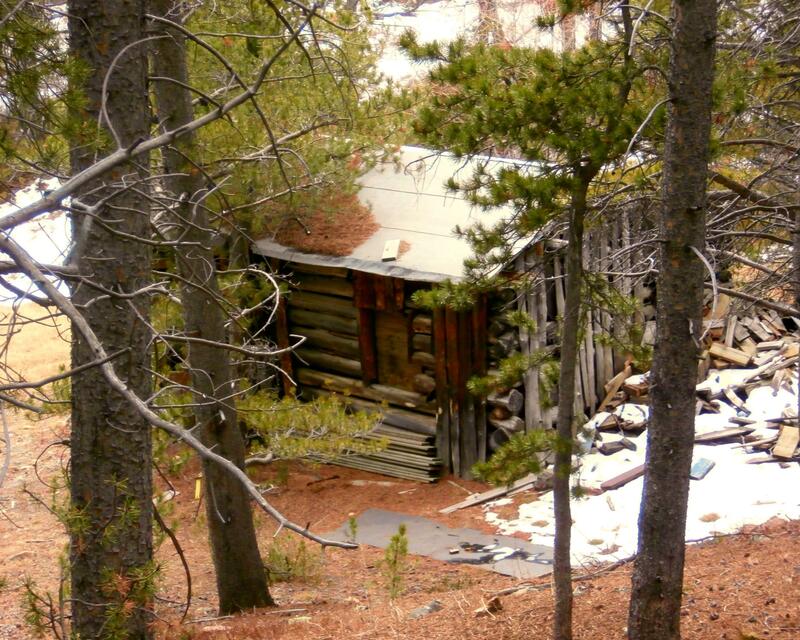 I drove up the road once, and there are several foundations and an abandoned cabin or two along it. The road dead ends at gate marked “KEEP OUT” and what looks like a modern small-scale mining operation. My gut tells me it is probably a good idea to stay off this second road in Apex unless someone gives you permission. Apex March 2014, still hanging on! Apex has had a strange hold on me ever since my first visit. It’s not my favorite ghost town, and it’s certainly not the most interesting ghost town, but I always find myself in Apex when I’m in the area. 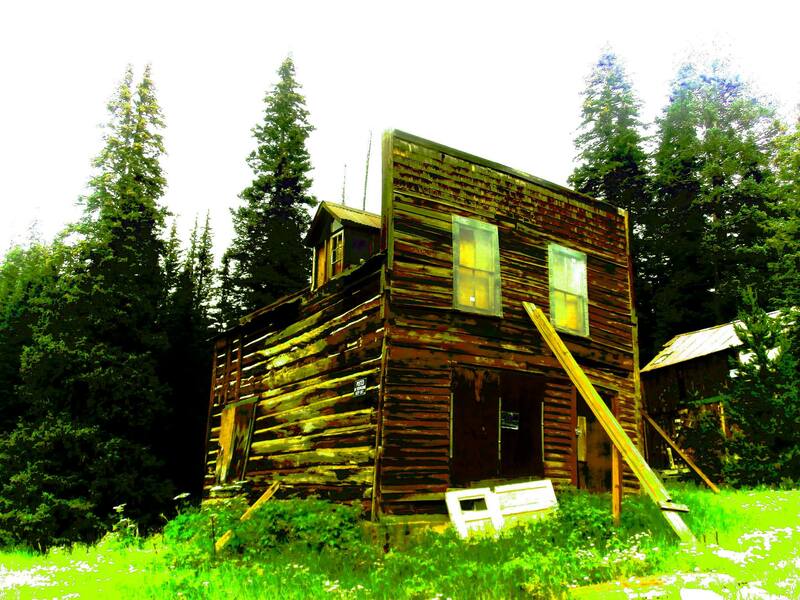 When the winter snows begin to melt, Apex is one of the first high-country ghost towns you can access, and each thaw it amazes me that that old leaning false-fronted building has survived another winter without falling down. My family leased a cabin from the U.S. Forest Service almost, but not quite in Apex. It was located just a shade north of Apex. At the time you could lease the property, maybe 2 acres, on a 20 year lease. At some point several years ago, an option to purchase the property was made available, of which my father was unable to do. He lost the cabin in the early 1970’s. Jeff you said that you were “introduced” to Apex in the mid 80’s as a young boy. My own experiences go back to the early 60’s, upto about 1972 or so. Apex was a kids dream playground, back when a kid could carry a single shot, 22 short rifle for “plinking” birds, chipmonks & squirrels. Of course those days are gone. Your pictures of Apex are fairly recent. Torn down several years ago was the old Apex Ski Lodge, and the very, very old dance hall. You can see pictures of the dance hall, in it’s hay day, on the Colorado Historical Society’s web site. 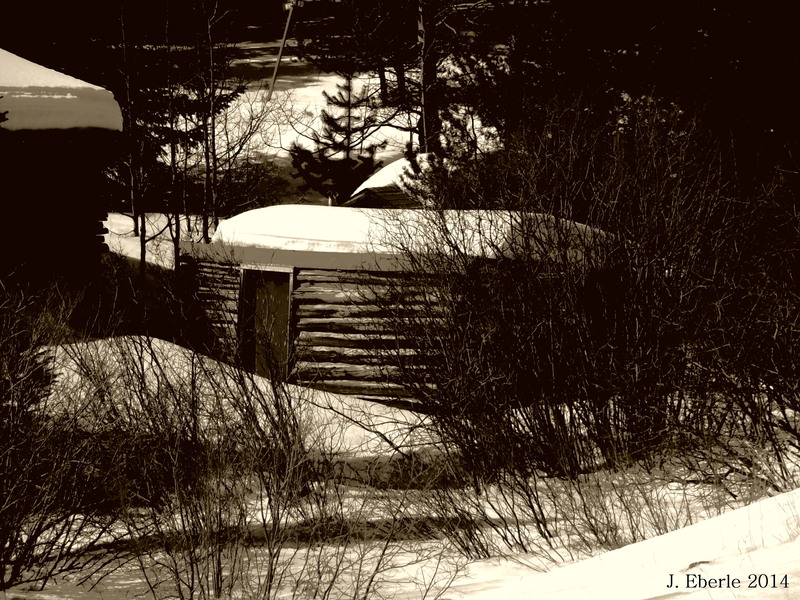 Both dwelling’s were constructed of logs. The dance hall was very much dilapidated, roof caved in the middle and so on. Some of the old stuffed couch’s and lounge chairs were still around back than. I have many fond memories back in those years, I’m now 62, my father long gone to, he loved Apex as well. I’ll share one though. One Saturday, as we were rooting around the forest, we heard a hell of a loud mechanical commotion somewhere close by. The noise was reverberating all over the forest. Turns out some teenagers had broke into the Apex Ski Lodge, at the time still standing, and hot wired the Army half track, parked in the attached garage. Long story short, they caved in a steel drainage culvert that a creek ran thru, but was also used on the road into our cabins property. He was so pissed! I never saw that half track again. Those were glorious, fun filled days, that I am only now truly appreciating. In the middle 1950’s, my parents had friends in Denver who who had a cabin in Apex that I recall was right on the main street. We did some exploring and I remember going in the school house. The old-fashioned desks and school books were still there. Appreciate your interesting article as I have thought about Apex many times over the years. We visited the town many times for a few years but I’ve never read about it until now – and the pictures are wonderful. Thank you. Jeff, this blog post (and your entire website) are fascinating. Your passion and knowledge really come through! You make me want to visit Apex this summer. Is it accessible only by 4×4? Also, is the road that goes near the remaining buildings (Upper Apex Road, or County Road 4S, I believe?) the former Main Street of Apex in its heyday? My Aunt and Uncle lived in Denver, but owned one of the cabins on Main Steet in Apex (also a house in Central City that Brenda Lee was born in!). The last time I saw it was in the summer of 1970 (I’m now 61). My aunt and uncle are long gone, along with my father. We all LOVED going up there, especially since at that time we lived in pretty darn flat Illinois…LOL. My uncle and aunt were Marty and Lucille Dammann. I wonder if any of you talking about the 60s and 70s might recall them? I was mistaken. I was just talking to my sister and she told me it wasn’t Brenda Lee who was born in the house in Central City, but she can’t recall who it was, either! I know it was a country singer, though. If I remember I will post it. Duh. Jeff , great article. The ” Mayor” bought my uncle’s cabin after he died. Mayor ruined that little area. 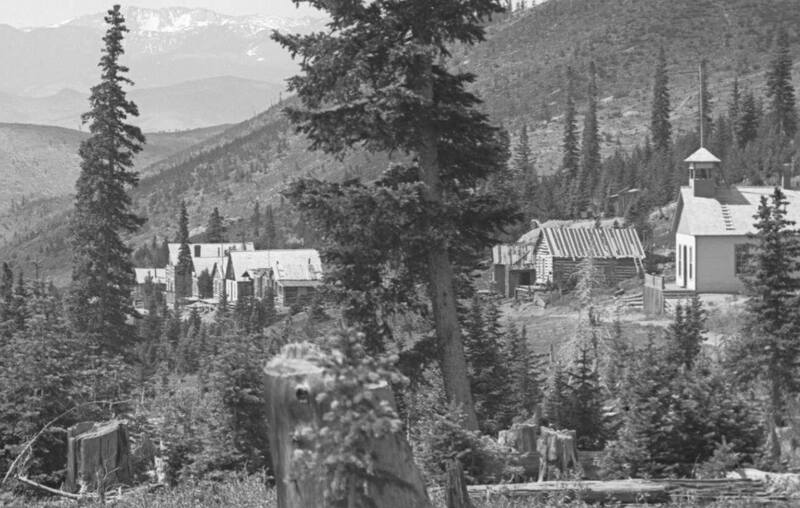 My great uncle Walter Petro was a miner up there and I think his wife Maude was a cook or something at the boarding house/ hotel later ski lodge. My dad would spend a few weeks each summer with them. The principal of my junior high owned the hotel in early mid 60’s: Mr Hix or Hicks. Also, Tm Mix made a film up near American City. Ed Longnecker would love to get together and chat sometime. Had a wonderful visit to Apex 10/25/2017. Drove all the up Elk Park road with a great view of James Peak. Stopped on the way back down at the Mayor’s place Parked on the road and honked once. Shortly, the Mayor came out and we had a interesting conversation. He talked about his many, many experiences putting out oil well fires, his mother’s work as Winston Chuchills secretary, and many other things difficult to follow. A pleasant man with wild, wild stories. He did believe the Bible and felt assured of his salvation. God Bless him. My father took me to Apex in 1947 to ski. They had a rope tow there at the time and the Mayor pointed out where it had been. It is difficult to see where the old town was because of the forest growth. I wonder why the old photos show very few trees. The mayor is Bill Ward and is as colorful a character as you’ll meet! I believe my brother and his buddy lived in the false front house with log holding it up for about 1 year in 1971 or 1972. They were young and adventurous “hippies”. Had permission to stay there. Bought enough dry beans, etc to carry them through the winter. There was an older couple living in dwelling next door. Let it be known, Old Billy Ward is not a Mayor…LOL…. Billy Ward owns a couple acres and that’s about it. He is a true modern day mountain man however, that lives up there year round and watches whats going on and for that he is hailed a hero. Dear Mr. Jay Folk I’m glad that you had the opportunity to ski at Apex in 1947. I see you met Bill Ward who lives in the little house on the road side with all of his stuff on the road. Bill Ward has been there for many years and knows that area, we consider Bill as a caretaker of Apex but, by no means is he a mayor. And filled with stories that would last a lifetime. However, he has been up there for 46 years and hasn’t left. 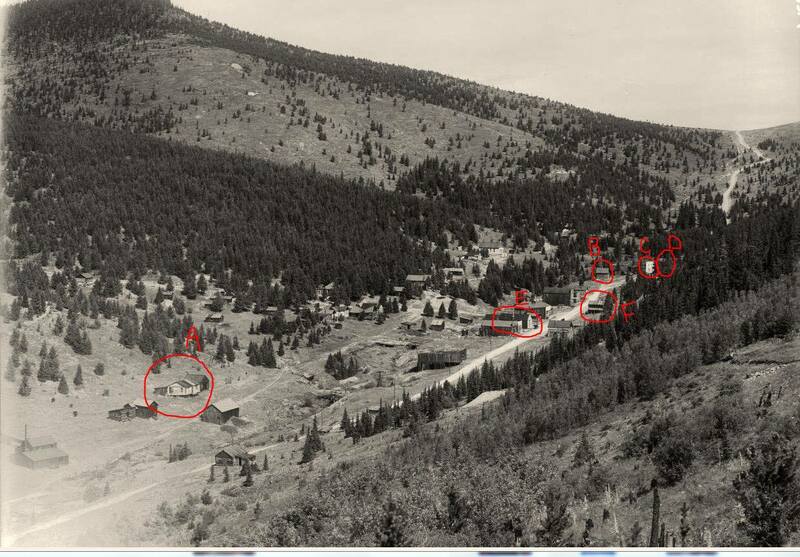 The old pictures of Apex area in 1900’s show little trees because there was a very large forest fire in the early 1900’s which wiped the forests out. Thanks for chiming in. Ed Longnecker, my father was somehow involved in the Apex ski area. We would go up and picnic in the summer as a family in the 50s and 60s. I remember the lodge well. The story I remember is the building of a rope tow, followed by a drought year, then followed by an incredible amount of snow which pretty much was the end of the rope tow. I have no idea if these memories are true, but they are mine. My father was Don Vogel from Denver, also called Buddy in his earlier years. That second road with the chain pulled across, marking it as private. That road actually leads you winding past a few of the remains of cabins & what was supposedly the Apex town schoolhouse. 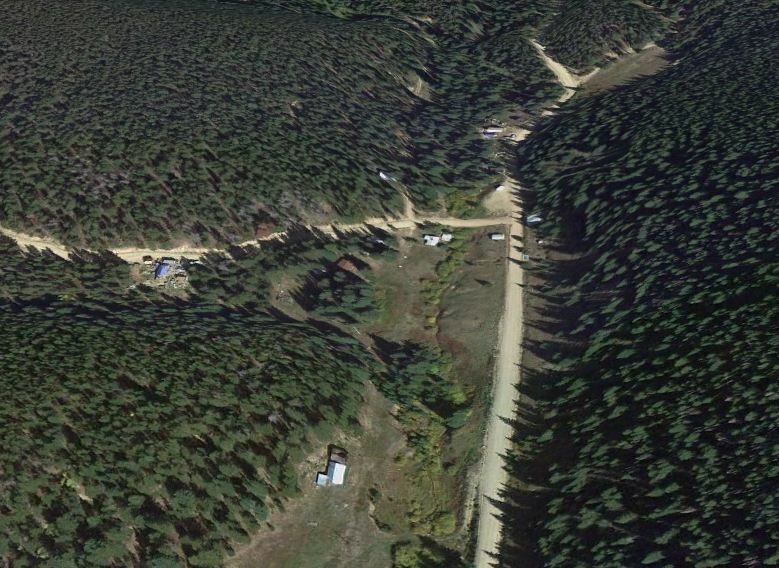 My family, along with another family leased the cabin at the very end of that road, back in the late 1960”s into the 1970’s. We spent what I remember as the best parts of my youth up there. What a wonderful, beautiful & yes even magical place to spend summer weeks & weekends. Whenever it was possible for us to go. Whether it was with the other family that was on the lease with my folks. Or with other family members or family friends, or just the 4 of us. They were truly the best of times in my life. I have such wonderful memories of spending hours out in the mountain wonderlands. Never lacking in adventure & discoveries to be found. 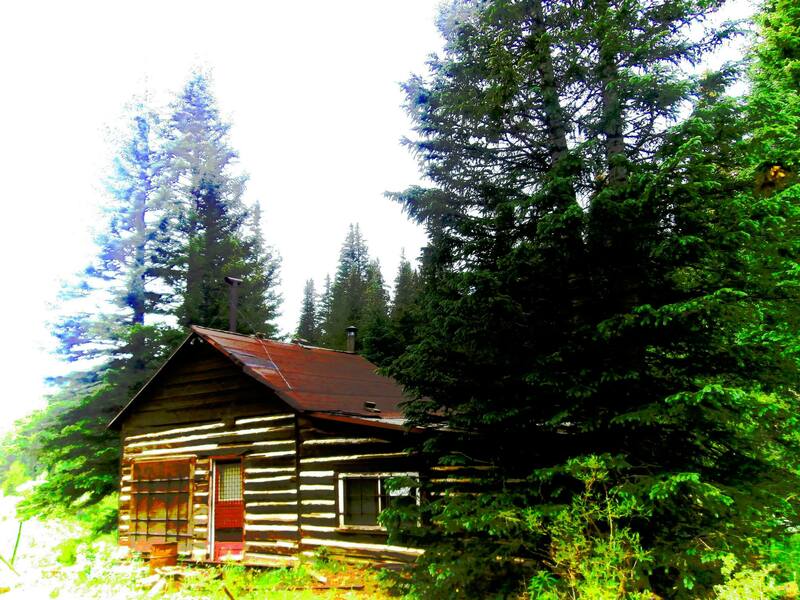 Whether communing with nature in the forested areas around the cabin. Or venturing up past tree line where the fragile alpine plants give way to the rocky peaks. There was always something new & wonderful awaiting me. I totally understand the attachment to the area. It has its own magical energy. There are so many interesting & beautiful places to investigate. When we first started going up there, there was actually an ancient military halftrack parked in one of the buildings on main street. Unfortunately through the years much was pilfered & wrecked. The cabin we were leasing even had its potbelly stove ripped out of it. Which caused quite a lot of damage. Since the cabin had been built around the stove. The backdoor door frame had to be replaced. 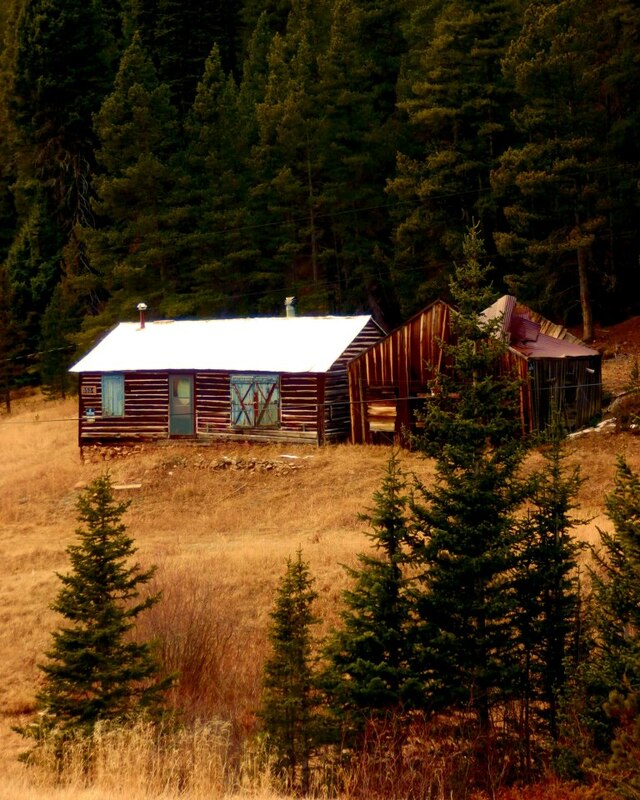 Last time I ventured up to check the cabin out. There were stock gates that had been put up way down the road from the cabin, blocking access. Where it had been open all the years we were there. It’s so sad that some aren’t capable of respecting what nature & history have left for us to enjoy, learn from & share from generation to generation. So much is forever lost to future generations. Kimberly, the half track was used as part of a rope tow system to pull skiers up the mountain folks skied on. It was on the left of the road leading to Elk Park .